Chrysler sale agreed | What Car? 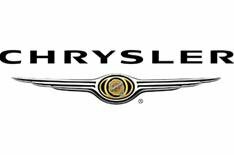 The sale of Chrysler has been granted official approval. Most of the company's assets have been sold to a consortium led by Fiat, which will pay nothing for its stake, but has the option to increase its shareholding in the future. The US and Canadian Governments have agreed to provide around $8 billion (around 5 billion) in loans to help the transition. Chrysler is now expected to emerge from bankruptcy protection later this week. The deal means that Fiat will hold a 20% stake in the business, 68% will be owned by a union trust, with the remaining 12% shared by the US and Canadian Governments. Bankruptcy judge Arthur Gonzalez said in his written ruling that the only other alternative to the sale would have been the 'immediate liquidation' of Chrysler and that the deal best protected the 'public interest'.